Barbados Yacht Club is situated towards the western end of the southern coast in the region of St Michael. The Club dates back around 90 years and has a really nice feel to it, with impressive sized rooms, bars and restaurant, with the added extra of a lovely beach bar. It is intended to keep the boats on the beach area, with launching a few feet into the sea on a shallow shelving beach. The sand felt firm so we anticipate no launching issues, and we understand that this area will be patrolled 24 hours. The Finn containers will be stored at the club at the back of the compound next to the road (lifted over the wall from the main coast road). We expect the OK Dinghy containers to be stored to the Barbados Cruising Club, which is almost next door (5 minute walk by road or 1 minute under the pier – in about 2 feet of water). Location really depends on the numbers going. If you are planning to do both events, please note that OKs and Finns should be send in separate containers. The OK Dinghy containers will have to be moved straight after the Worlds, so can’t wait for your Finn to go in as well. If you MUST sent them together please talk to us first. This will only be allowed in exceptional circumstances. The club grounds are extensive and include tennis courts and cruiser boat storage. The club operate a non-cash bar for the sailors and guests. This process will require you to sign for your food and drink and pay at the end. Guests will also be able to purchase an event all-access wristband, which will give them everything the sailors will enjoy: meal events, drink events and use of the club facilities. Measurement will take place under a large covered area and there are wash down hoses jotted around, it is proposed to put more hose down points in place for the regatta. Barbados Cruising Club is located next door to the Yacht Club and is on the beach directly next door to the Radisson Hotel. We have been told by both clubs that they will join forces to assist in the event and both their facilities will be available for sailors and guests. It has a great beach and the ‘Dippers Bar’ with a view over the bay. They also have sun beds on the sand. The club also rents out paddleboards, small sailing boats, kayaks etc. Carlisle Bay: Racing will take place in Carlisle Bay just off Needham’s Point, apparently where the light blue sea meets the darker, deeper Caribbean. There is a rise and fall in the tide of around 2 feet and there is a current that runs along the west coast. The sail out to the race area is not far from the club; apparently there are no sharks but there are plenty of sea turtles and you have to watch out for the flying fish. Bridgetown is the capital of the island and is run down in many places. However there are some great places to visit in the town. Close by the club are the areas of Hastings, Christchurch and St Laurence Gap and for a small fare you can get anywhere, very quickly. We all stayed at Coconut Court, a very nice family run hotel. It is further away from the club, down the road in Hastings, but we walked to the club a number of times, along the beach or by the road – it takes about 15 minutes. The hotel has a nice beach and beach bar, rooms had good air-con and most have a sea view. A minibus to the club costs BD$2 and takes 2 minutes. Savannah Court is next door to Coconut Court a little further towards the Hilton and the Club, the facilities looked very good and again they include the beach and good bar facilities. There are several self-catering options. We were shown around Bajan Cottages, next door to the club, we were quoted around £125 per night for 3 bedroom accommodation in apartments or bungalows, this is between 4/6 people, so works out cheap and convenient, supermarkets are close to hand. Important Note: Closer to the event the OA will release discounts codes for a number of hotels. It may include some of the above hotels but NOT the self-catering accommodation. You will need a code to qualify for the discount and as of yet we do not have any more information. They may also release other accommodation, so it’s advisable to look on Google Maps before committing to somewhere. Air. One of the sponsors for the event is Virgin Airlines and they will be making a service available from Gatwick to Grantley Adams Airport at a discounted rate for competitors. Details will follow later in the year. Cars: many options available. 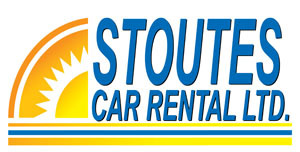 Most hotels operate a shuttle service from the Airport and taxis are readily available. Buses: Each bus has its own owner and most of them play Reggae with decent base bins, BD$ 2 gets you most places. There are also white Nissan minibuses. They are everywhere and constantly pitch for your business; tooting and stopping if you are walking along the road. Most people use them. They are great fun and a health and safety nightmare. BD$ 2 gets you everywhere in your district. You have to stop at the main station in Bridgetown and change to another part of town if you wish to go up the coastline. It’s a great experience and it is a shame if you don’t give it a go. The list is endless and it depends on what takes your fancy. If you are extending your visit, then it is a must to tour the Island. The scenery on the East Coast is in stark contrast to the rest of the island, with a rugged coastline and fantastic Atlantic Surf. The roads are bumpy and there are some great places to eat and drink. Go to the Soup Bowl at Bathsheba and see the surfers. See the view from Cherry Tree Hill, visit the Oval, Banks beer and the Mount Gay distillery. For the ladies it has to be the shopping in Holetown, with Louis Vuitton and many top brands. Oistens fish market on a Friday Night is an absolute must with music, eating and dancing in the plaza.